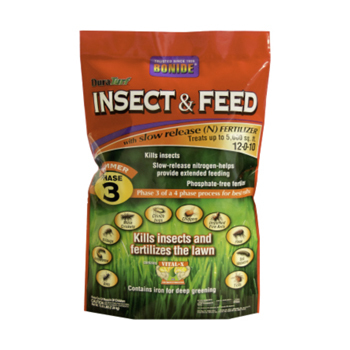 Insect & Feed 12-00-10 kills a broad range of lawn insects on contact. Provides residual control for up to 4 weeks. Contains premium slow release fertilizer with iron for deep greening. Contains Vigor-X micronutrients.